Welcome to Term 2. I hope you all had a wonderful Easter break. Our trip to the US was amazing. I am so glad I could share my experiences with the girls on the trip. As you all know, I am always trying to improve the facilities and after listening to you, I have made some more changes around the EC over the holiday break. We have upgraded our showjumps to be competition standard and they are very impressive. We have a new large tack shed, new feed room, more day yards and several other smaller improvements which I am sure you will enjoy. The new dressage arena and Campdraft arenas are open and we have live cattle working this term. We have a very busy term with Coona and several other shows. So please look at the schedule mailed earlier and let me know what shows you will be attending and if you need transport. Please put stabling near NEGS as it was a huge help when we competed in Term 1. High performance will be on Wednesday afternoons. The woollen rugs have arrived and are in the EC office for collection. Please email your respective coaches with regards to lessons for this Term. I would like to inform the NEGS Equestrian students and community that our dressage coach Camilla Dawson is leaving us to pursue her studies and career. Camilla has been offered a dental technician job in Armidale. Camilla has been a valued member of the NEGS Equestrian Team since 2012 and I would like thank and wish her well on behalf of the School. If you have lessons with Camilla, please contact Henry or Rachelle to arrange your times. I look forward to seeing you all and your horses next week. 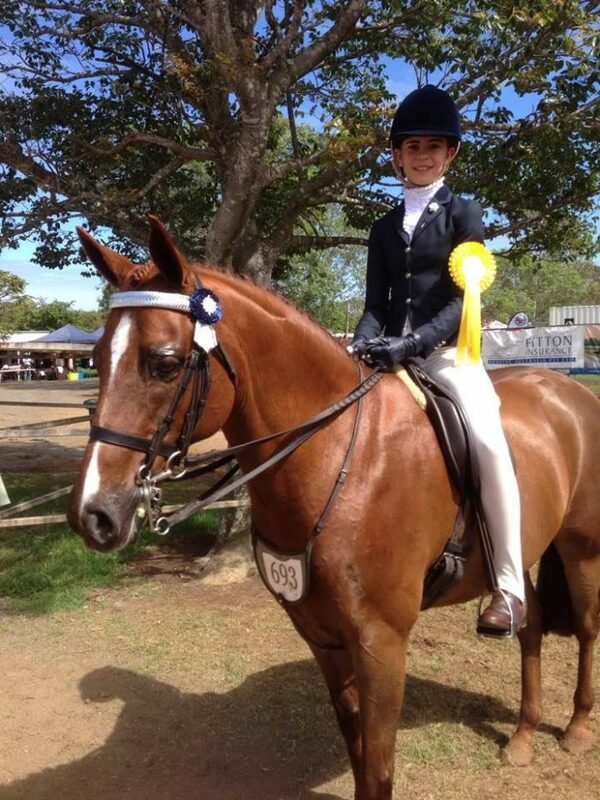 Congratulations to NEGS show riders Molly Michell-Smith and Bronte Dagg for their success at Toowoomba Royal. 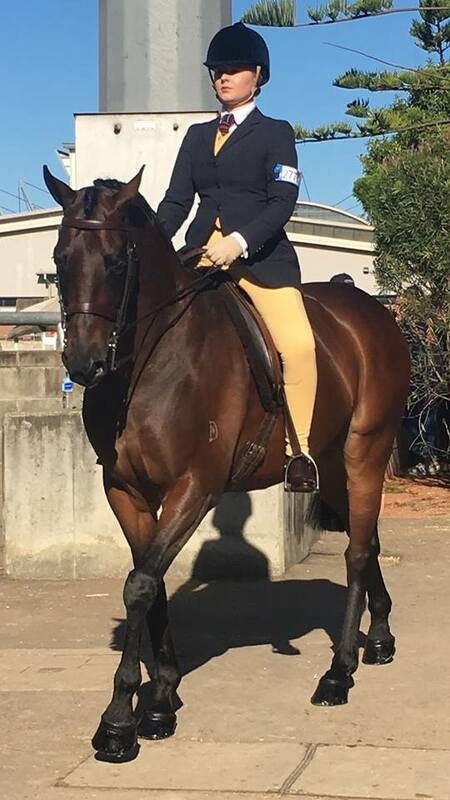 Molly and her gelding, Bally Mount Lord Rubin were 3rd in the led warmblood, 5th in the hunter, 3rd in the childs hunter, 2nd in the AHHA, 2nd in the ridden warmblood, 4th in the ANSA hack and 6th best presented. Bronte did a brilliant job riding four ponies and her own galloway. 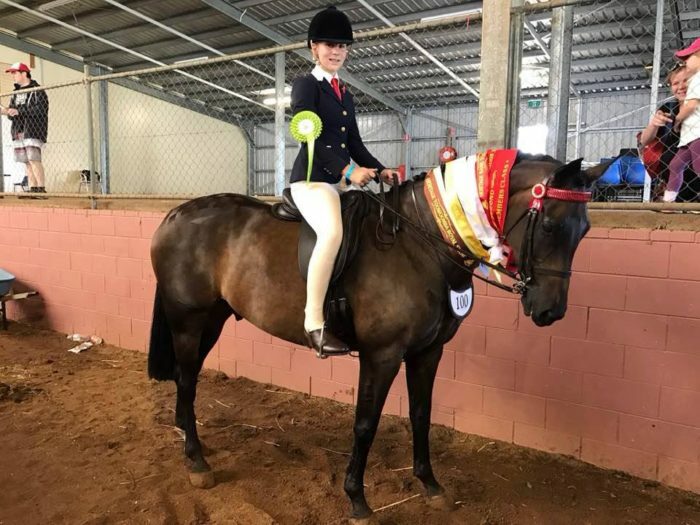 She came home with 4th in the girl rider, 6th in the open galloway, 4th in the childs galloway, 1st in the saddle pony and 2nd in the open pony under 12.2hh, just to mention a few. Over The Top has come up with the goods again. We would like to extend a very big thank you to Karl from OTT for our most recent delivery of jumps. We have two brand new sets of picket wings plus this fancy fence that is pictured. If you would like to own a jump as nice as this one, get in touch with OTT. They can fix you up with show jumps, cross country jumps, yards and even stables. 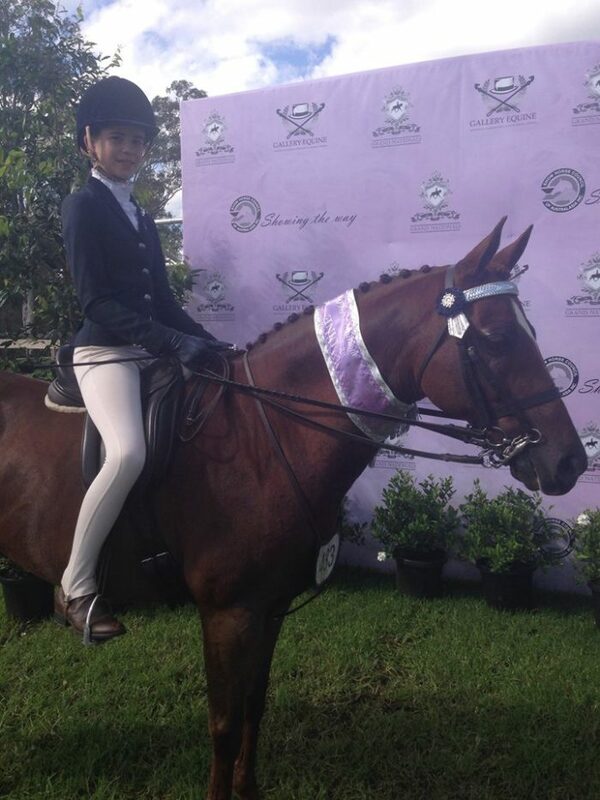 Congratulations Tamara Herrod and Shakey – 3rd place in the Youth Cutting at Condamine with a score of 70.5. Superb achievement. 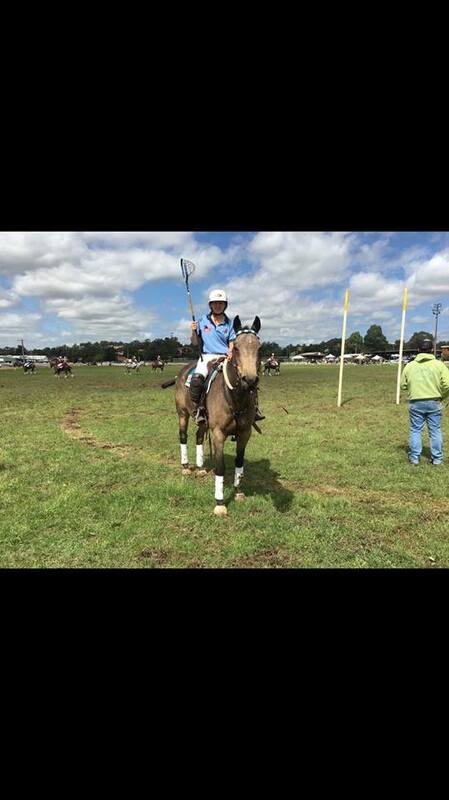 Congratulations to Laura Hardie on her win in the Juvenile Draft at Goulburn Campdraft. Riding Lena’s Conman Laura achieved a score of 88. An admirable demonstration of her perseverance and determination only 6 weeks after having an ankle reconstruction. Well done Laura. 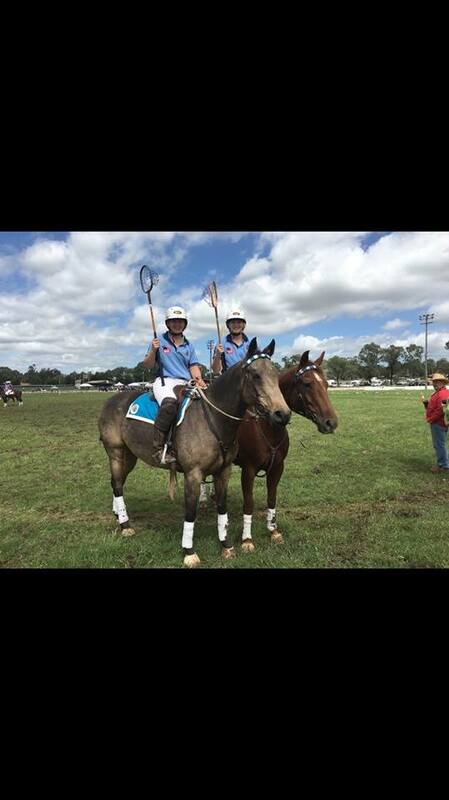 The NEGS Polocrosse girls have had a fantastic holiday with Gemma Stuart, Laura Frear and Abby Finlayson all playing for NSW under 16s against South Africa, New Zealand, Western Australia, Tasmania, Victoria and Queensland. Josie Wilson has been playing in the all women’s silver stirrups competition with her team winning the competition. New NEGS girl, Akasha has travelled with her family from Nocutunga Qld down to Albury to compete in the state/international series. The NEGS girls were a proud representation of the school and their horsemanship and sportsmanship were a credit to their coaches. Good luck to old girls Olivia Adams and Lindsay Doolan who are playing in an under 21 NSW side against Queensland in Warwick this weekend. Also a massive congratulations to Coach Hayden Turnbull who is captaining the Australian team as they play South African men’s side this weekend. It has been a huge few weeks for NEGS Polocrosse. 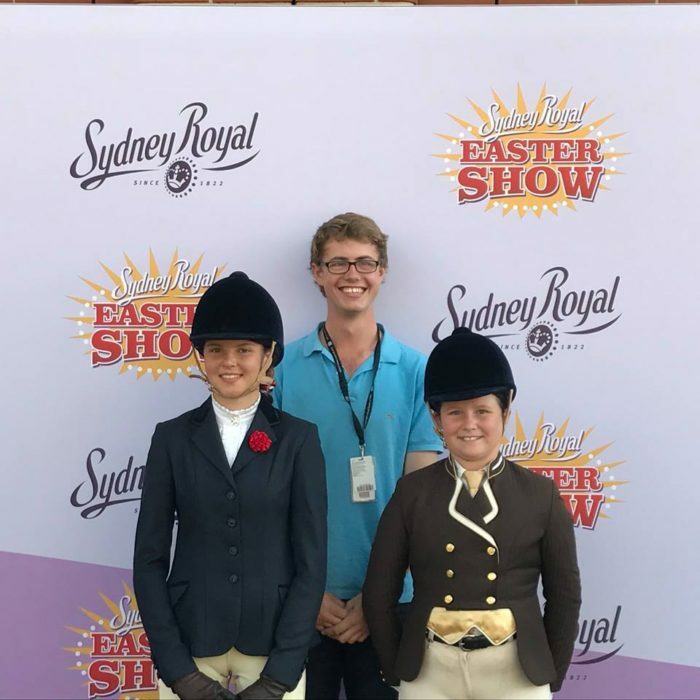 Congratulations to four of our show riders who competed at Sydney Royal over the Easter holidays. 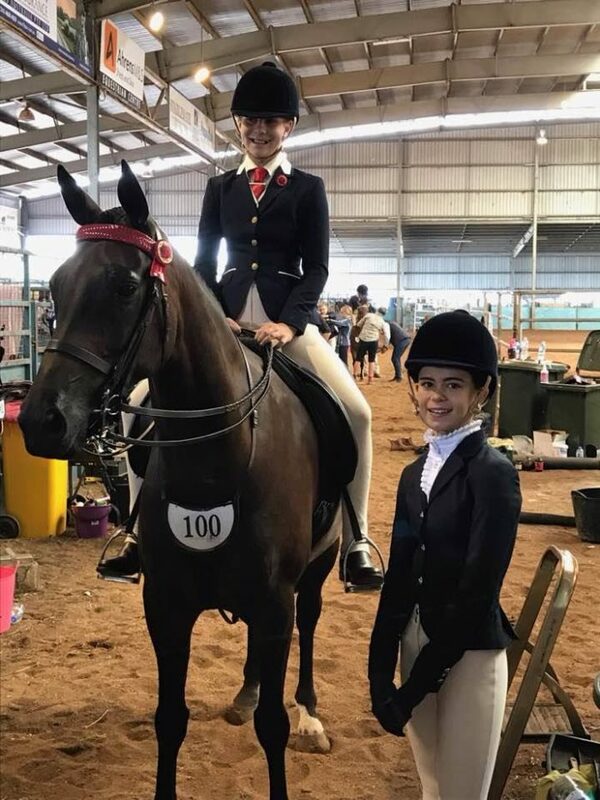 Charlotte Jacobson, Brie Aitken, Elizabeth Wythes and Bronte Dagg competed against some of the best horses and riders from across the country. 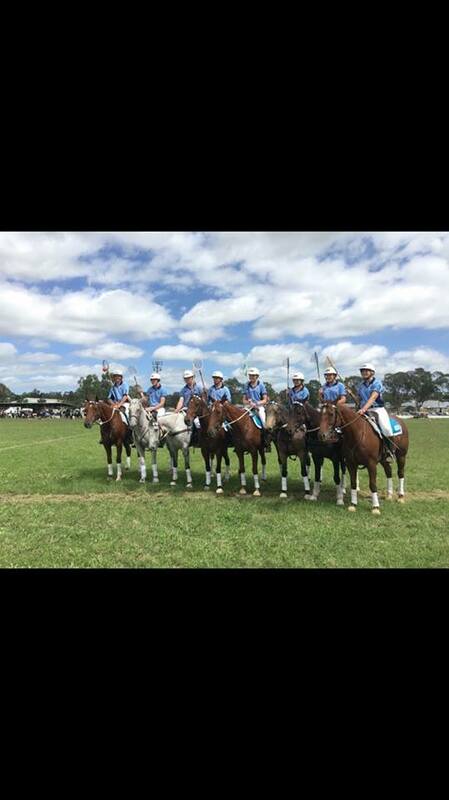 Well done to the girls for their efforts and triumphs at a highly competitive Royal Show.